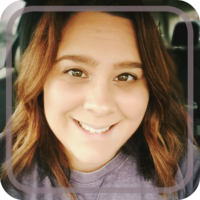 It is finally feeling like Fall! The mornings are cool and crisp. The leaves are starting to turn and fall. And there is an over abundance of Fall drinks flowing. This may come as a surprise but I am not a big fan of the Pumpkin Spice Latte. Or pumpkin anything for that matter. I like it in my pie and that’s about it. But apples? Now that’s a trend I can get on board with. From the scent of fresh apples to a hot apple crisp right out of the oven, I am a sucker for apples. 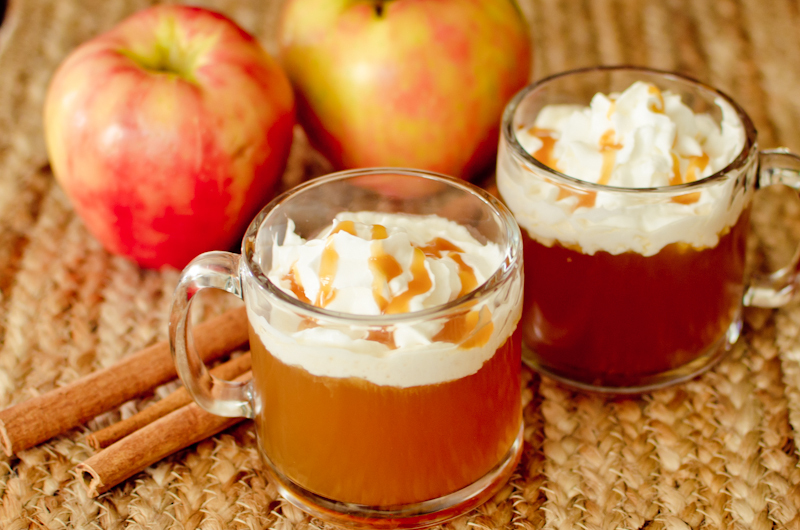 Drink-wise, I am going right for the apple cider. Hot. Cold. I don’t care. 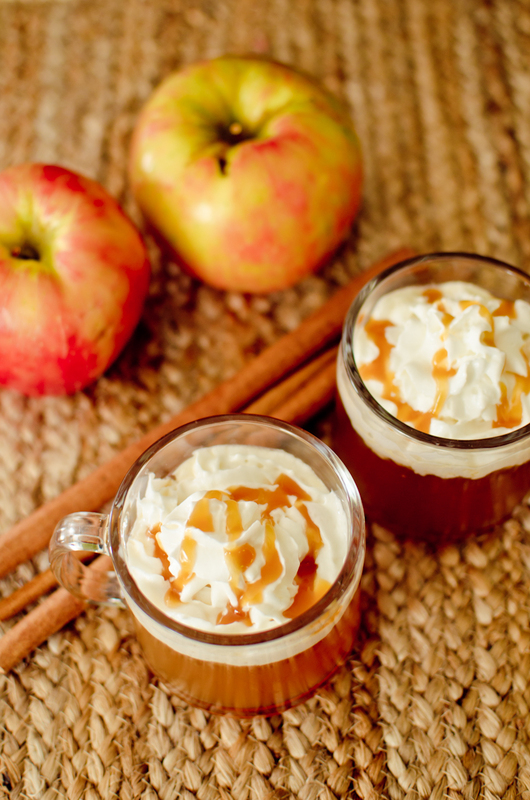 So it was about time to recreate a favorite fall drink: Caramel Apple Cider. 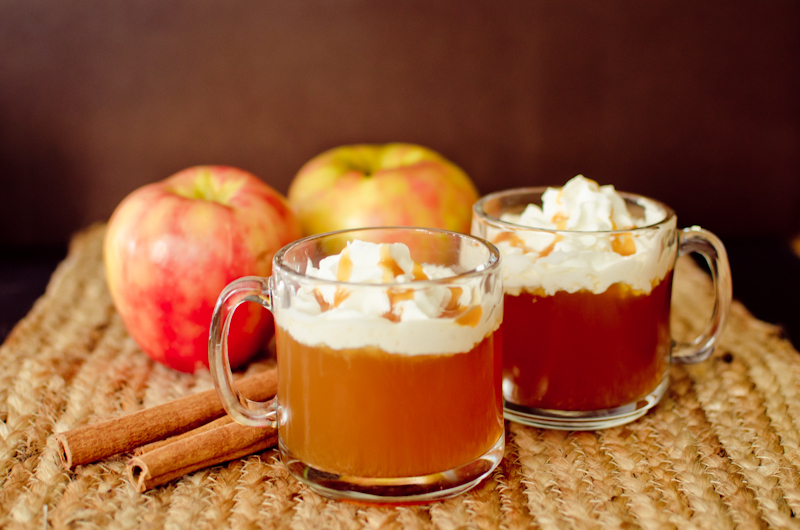 You’ll need your favorite Apple Cider (mine is from our local orchard), caramel sauce (for a drizzle), whipped cream (well, duh), and cinnamon dolce syrup. The cinnamon dulce syrup is key! And it’s not hard to whip it up at home either. 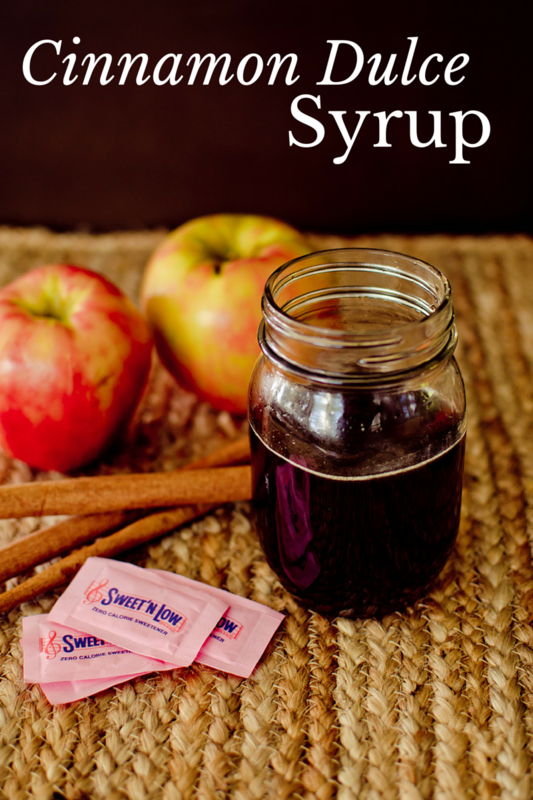 To make the Cinnamon Dulce Syrup, add 1/2 cup brown sugar and 12 packets of Sweet’N Low to a saucepan. 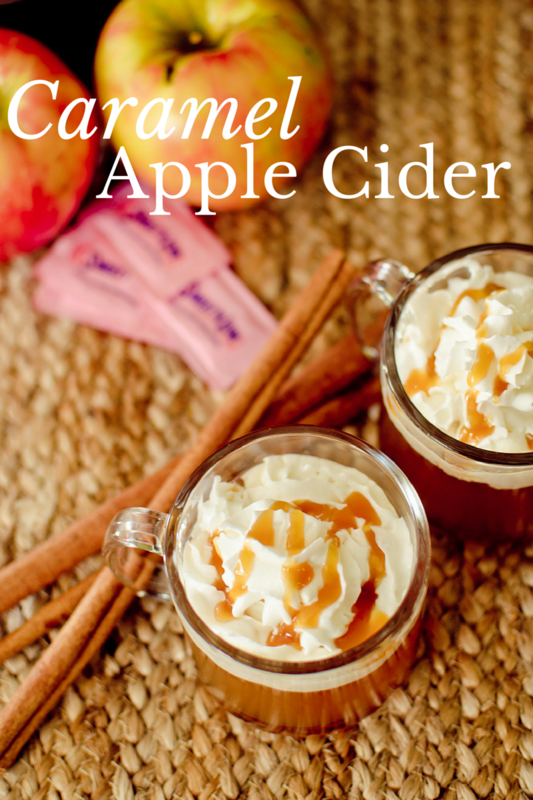 Using Sweet ‘N low helps reduce calories in drink recipes like this Caramel Apple Cider will still enjoying the sweetness I love! Add 1 cup of water and stir well. Bring to a slow boil and remove from heat. Add 1 tablespoon of cinnamon and stir well. And now you have a Cinnamon Dulce Syrup! Now it’s time to make the Caramel Apple Cider. Start by adding 6 tablespoons of your Cinnamon Dulce Syrup to a saucepan. Add 12 oz of Apple Cider and heat on medium until hot. You don’t want this to boil! Top with whipped cream and drizzle caramel syrup on top! Although the tour is coming to a close, you can still enter their #donthesitaste photo sweepstakes! The grand prize is valued over $1,300! Check out the gallery and official rules HERE.